Cassini/Huygens, a NASA/ESA mission with the goal of performing comprehensive scientific investigations of all aspects of the Saturn - Titan system, was launched in late 1997 and began its primary mission, an orbital tour of Saturn with the Huygens probe release into Titan's atmosphere, in July of 2004. Cassini completed one extended mission Equinox (2008-2010) and is currently in the Solstice extended mission (2010-2016). 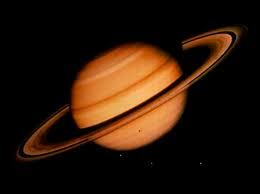 The final mission phase ends when the Cassini spacecraft will enter Saturn's atmosphere in September 2017. 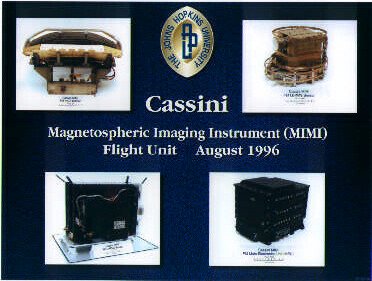 The MIMI (Magnetospheric Imaging Instrument) investigation, with Dr. S. M. Krimigis of the Applied Physics Laboratory of The Johns Hopkins University (JHU/APL) as Principal Investigator for the majority of the mission, is one of 12 instrument investigations on Cassini. Dr D. G. Mitchell of (JHU/APL) has recently taken over as Principle Investigator for MIMI. Drs. Krimigis, Mitchell and colleagues have been studying the energetic charged particle environment of Saturn and have obtained the very first images of Saturn's magnetosphere using the new technique of Energetic Neutral Atom Imaging. The JHU/APL, together with its colleagues at the Max-Plank-Institut für Aeronomie in Göttingen, Germany, the University of Maryland, the University of Kansas, the University of Arizona, and the Centre d'Etude Spatiale des Rayonnements in Toulouse, France designed and fabricated the three sensors that comprise the Magnetospheric Imaging Instrument (MIMI). These include the Low Energy Magnetospheric Measurement Sensor (LEMMS) from the Max Plank Institute led by Dr. N. Krupp, the Charge Energy Mass Spectrometer (CHEMS) from the University of Maryland led by Dr. D. C. Hamilton, and the Ion and Neutral Camera (INCA) led by Dr. Krimigis.